An excerpt from The Doomsday Machine, which was published this month by Bloomsbury. The book is an account of America’s nuclear program in the 1960s drawn from Ellsberg’s experience as a consultant to the Department of Defense and the White House, drafting Secretary Robert McNamara’s plans for nuclear war. Ellsberg is the author of Secrets, a book about his experiences leaking the Pentagon Papers. 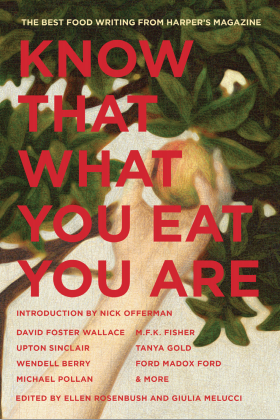 From Know That What You Eat You Are: The best food writing from Harper’s Magazine. An excerpt from George McGovern’s diary.